Goodreads: The sounds of unexpected tragedies—a roll of thunder, the crash of metal on metal—leave Miranda in shock amid the ruins of her broken family. Kritters Thoughts: Told in four parts this book left me still thinking and even wondering how I really felt about it and even as I write this review, I am still in ponder. There are four main characters in this book, Miranda, Sally, Dix and Darius and within the four parts two of the four take center stage and are more of the focus, but all four are present in most of the four parts. The reader starts the book with Miranda as her family is dealing with a tragedy and another hits and Dix is there to help pick up the pieces. 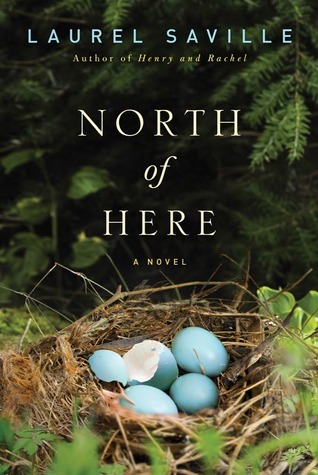 The second section the reader is introduced to Sally and Dix as Dix has come to the Adirondacks to try to find his path and in comes Sally to help him. The last two sections the duos swap and major drama takes place. The big thing that made this book not enter into one of my favorites was the weird time lapse within the sections. I felt like the author glossed over and all of the sudden months had passed and I felt left out of parts of the story. I wanted to know how the character got from point A to point B and I thought that the reader needed to know the details of those lost months. The other thing that didn't work for me and without completely giving away major plot, Dix gets into something and starts The Source and I felt like it came out of nowhere. I didn't get how he went from moving in with Sally and trying to find his path to creating The Source. I am specifically not telling you what The Source is, in case you read the book - its worth not knowing before you start the book. I wouldn't not recommend this book and would absolutely read this author again.